Having a spare tank to hand is never a bad idea. If you love your VIM but fancy having a second (or third!) tank to hand to quickly swap between flavours, or even to keep as a back-up, you'll find it here. 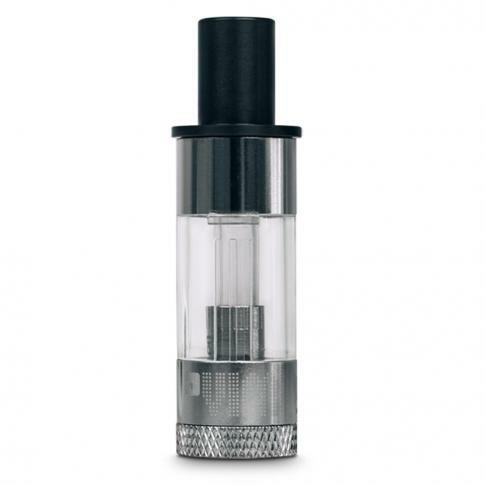 With topfill and a 2ml capacity, this slimline tank slots easily into the VIM, and uses Turbo S-Coils. To fill, simply unscrew the mouthpiece anti-clockwise to reveal the fill holes, squeeze in the liquid of your choice, reattach the mouthpiece and you're good to go. Please note, the VIM tank uses a proprietary connection, so isn't suitable for use with third party batteries or devices.